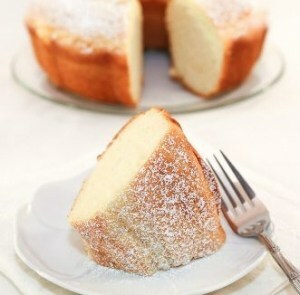 Light and fluffy, this Sponge Cake (Banh Bong Lan) recipe is not overly sweet and so scrumptious! It’s a wonderfully basic cake that is simple to make and can be easily “dressed-up” for a more elegant dessert. Most of the time, I like to serve this airy Sponge Cake with a dusting of powdered sugar, a dollop of whipped cream and some fresh berries. Yum! Enjoy the recipe! The eggs should be at room temperature so the egg whites can be whipped successfully. Remove the eggs from the fridge and place on the counter for an hour. Alternatively, soak the cold eggs in a bowl of warm tap water for 15 minutes. When separating the eggs, be careful not to break the yolks and contaminate the egg whites. Any yolk in the egg whites will prevent the whites from getting airy when beaten. Use an egg separator to make it easier. It helps to have a hand mixer to make the batter and a stand mixer to whip the egg whites. The stand mixer is powerful and gets the job done fast. Also, most stand mixers have stainless steel bowls which help to get fluffy egg whites. If you don’t have a stand mixer and plan to use your hand mixer to make the egg whites, make sure to wash and dry the mixers thoroughly before whipping the egg whites. Again, any egg yolks and/or water will contaminate the egg whites and prevent them from stiffening properly. Regarding over-beating egg whites, it takes just seconds to turn egg whites from fluffy, white clouds to a watery, broken-down gray mess, so please be careful. If using a stand mixer, it only takes 3-4 minutes total to beat the egg whites. While beating, stop and check to see how the egg whites are forming every minute. Stop once you’ve achieved a firm to stiff peaks. For reference, my hand mixer speed is 1-5 and stand mix is 1-10. I make notes on the speed in the recipe below. Position the oven rack toward the lower portion of the oven. Preheat the oven to 325 F (163 C). 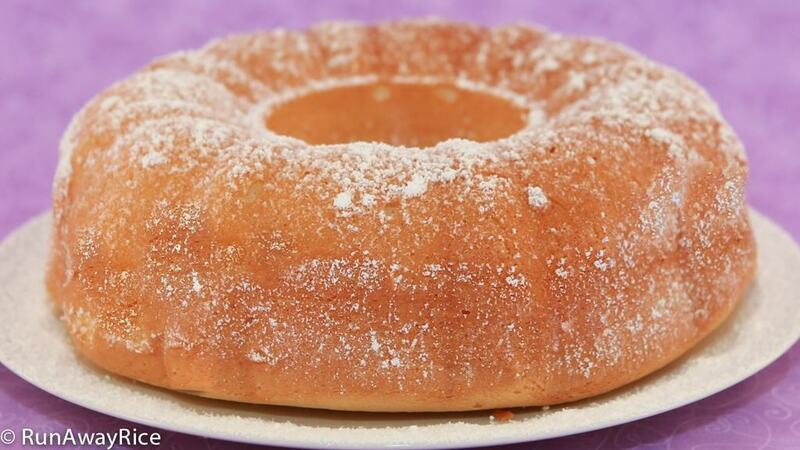 Coat a 10 inch bundt pan with a non-stick baking spray. Use a pastry brush to coat the pan evenly. Separate the eggs and place egg yolks into a large mixing bowl. Set aside the egg whites for now. Using a hand mixer, beat the egg yolks on Low speed (setting 2) for 1 minute. Add 1 Tbsp sugar and increase the mixer speed to Medium High speed (setting 4). Mix for 30 seconds. Every 30 seconds add 1 Tbsp sugar and mix together. Continue until all the sugar is added. (Note the eggs become creamy and turn a pale yellow color. This step takes approximately 5 minutes.) Add the vegetable oil, milk and vanilla extract and mix on Low speed (setting 2) for 1 minute. Add egg whites into a stand mixer. Mix egg whites on Low speed (setting 2) for 30 seconds. Increase to Medium speed (Setting 5) and mix for another 30 seconds. (Egg whites should be foamy now.) Add the cream of tartar. Increase speed to Medium High speed (setting 8) and beat the eggs until stiff peaks form (approximately 3-4 minutes total). Scoop a third of the egg whites and add to the batter. Gently fold egg whites into the batter. (Be gentle–avoid stirring too fast or beating the batter. This will deflate the egg whites.) Continue adding the the egg whites and folding gently. (This step takes approximately 3 minutes. The batter may not be perfectly smooth. Little lumps or streaks of egg whites are okay.) Pour the batter into the bundt pan. Use a spatula to even out the batter and smooth the top. 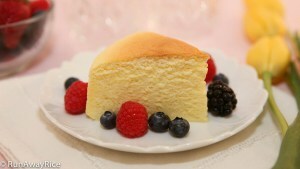 To serve, run a knife around the cake to loosen from the pan. Invert the Sponge Cake onto a plate. Dust with powdered sugar and serve with with whipped cream and fresh fruit. Cover any remaining portions to prevent the cake from drying. Enjoy within 2-3 days. Optionally refrigerate for up to 1 week. Freeze for up to 3 months. Light and fluffy, this Sponge Cake (Banh Bong Lan) recipe is not overly sweet and so scrumptious! It’s a wonderfully basic cake that is simple to make and can be easily “dressed-up” for a more elegant dessert. Most of the time, I like to serve this airy Sponge Cake with a dusting of powdered sugar, a dollop of whipped cream and some fresh berries. Yum! love love this cake been making this since my grandbaby is only month old, every month I try to bake this for her then everyone wants in their birthdays, and most of holidays . Thanks so much Trang so soft and fluffy I only used hand mixer and I cannot believe I baked this!! This is my family’s favorite cake recipe and I lose count how many times I made this. Your recipe is fail-proof and we like it’s not overly sweet. 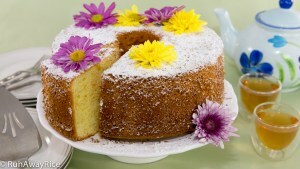 I usually make sponge cake in a bundt pan but also make cupcakes, round cakes and your roll cake. Thanks for sharing awesome recipe!